The following is a translated excerpt from the Yediot Achronot article by Sari Makover Belikov. Yaffa (48) and Yehuda (49) Glick live in the yishuv Otniel and are parents of a complex family: there are two older children from Yaffa’s first marriage, four children from their marriage together, and two foster daughters who joined the family in 1998. 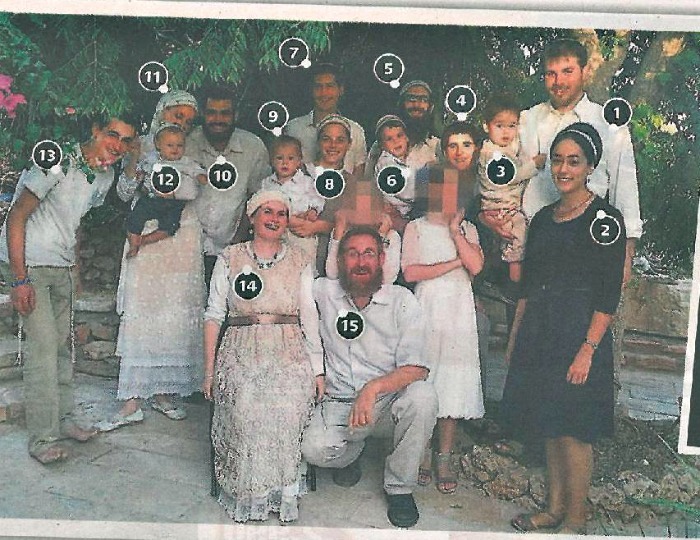 In addition, Glick is a legal guardian of the 6 orphans of the Aimes family, whose parents were murdered in a terror attack in 2010 on their way to Beit Hagai. Few people are familiar with the complicated life story of Yaffa Glick. The abundant and difficult challenges which she has experienced in her life have prepared her, to a certain extent, for the current drama. When she first met Glick she was a young 23-year-old widow, the mother to a baby and a newborn. 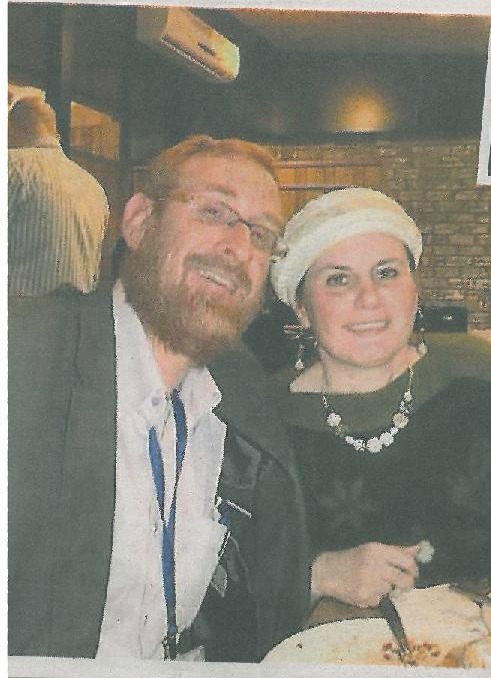 “My first husband, Dudi Molodik z”l, died from cancer,” she says. “When they told us he was seriously ill, Chagai, my first born, was one and a half years old. We found out he was ill the week I received a positive result on my pregnancy test. For 8 terrible months I was at his side. Both of us threw up, but I was getting bigger and bigger, and he was wasting away. When Dudi was dying, we had a talk about what name we should give to the baby who would be born, one name if it happened before he died, another name if the birth was after his death. We prepared for it. And one day after I got up from the shiva, our daughter Avital was born. Interviewer: How did you meet Yehuda? 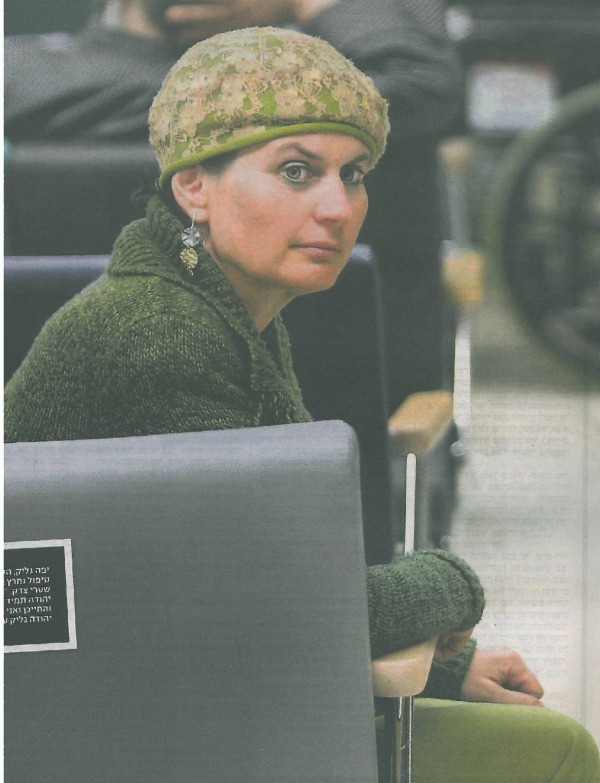 “When my first husband was on his deathbed and the entire extended family surrounded him and said ‘goodbye’ to him, Dudi said, you should know that I want Yaffa to remarry. His mother took these words almost like his final will and testament, and every few months she would say to me, “Yaffee, you need to get married.” Years afterward, I asked myself how she possibly had such exalted powers of the spirit to pull herself together and concern herself with getting me married a second time. Because I was so deep inside my own pain and missing Dudi and asked myself how she could possibly think of somebody else taking Dudi’s place. Interviewer: How did the family of your first husband accept him? The whole Glick family: including children, sons and daughters-in-law, and grandchildren. Interviewer: And the children you and Dudi had together? 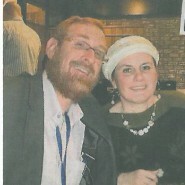 In 1992, Yaffa gave birth to Neriya David, in ’94 to Shlomo, and after them to Hallel (18) and Shachar (14). “When I was in my 8th month of pregnancy with Hallel, it was discovered that he suffered from a severe and rare heart defect. I had a month to prepare, and when he was born, right away he was taken for open-heart surgery and we were pulled into a saga of two years which were very intense and difficult, and all of this was with four other small children at home. “We went through a very difficult period with Hallel. All the time we promised ourselves that if we would merit to give him a brit, we would give him the name Hallel, which stands for ‘The Doctor of Broken Hearts: HaRofeh L’Shvurei Lev.” And the truth is that we were blessed, and today Hallel is completely healthy. But during that period I spent six years at home with him. During the 4th year at home with Hallel, I sent my children to a camp before Passover. At the camp they wore burlap clothing and reenacted the exodus from Egypt. They baked matzot, and by mistake they also ‘baked’ our little Neriya. We spent almost half a year in the hospital’s ICU and another year in rehab. Today Neriya is already married and a father, but at the time the suffering he bore was impossible to describe. Today I say, the same G-d Who saved us with Hallel and with Neriya, He will save Yehuda and make him healthy. This doesn’t, for a moment, take away the pain and the difficulty, but burned into my experience with Hashem is the knowledge that after every disaster the redemption follows. It’s my existential experience. Interviewer: Alongside your thanks, don’t you also feel anger about all the challenges and troubles which Hashem drops on you? YG: I won’t tell you that I didn’t have moments like that, but my world view says that we have a Father who is good and does good for us, and Who wants the best for me and the best for my family, and saves us from all our troubles. Interviewer: But He is also the One who creates those troubles which He then saves you from. YG: “I don’t busy myself with those questions, because I wouldn’t be arrogant enough to answer them. We don’t see the entire picture. When the puzzle isn’t complete, we only see part of it. I know that Hashem knows better than me what is good for me in particular, because He is the One Who created me. After the fact, I can tell you that each difficult challenge I have faced in my life has made me grow and blossom. Oh my… what an uplifting article. Stay strong Yaffa and may you hear only good news! Tehillim for Happy Endings, Yes! I have tears in my eyes! She’s only a year younger than I am, and has gone through lifetimes of ups and downs. It’s humbling to know that strong women like her walk among us. Davening for a refuah sheleimah for Yehuda, and all good things for you and your family. so the lesson is that whatever our own life experience is we need to use all the hardships and knocks we experienced to be able to help others as this incredible family has done. great example of us what we need to do as an individual or as a family. going to be going to the Temple Mount often now, in fact tomorrow God Willing will take Shmuel in his wheelchair as well. Such an inspiring article. Her bitachon will pull her through, thank you for sharing the good news at the end! Please keep us posted on his recovery I”YH. THIS IS A FAMILY OF ANGELS THAT HAVE TO HAVE THE PAIN AND GIVE US THE STRENGTH. HASHEM CHOOSES AND PREPARES.SO,THIS IS WITH THE GLICK FAMILY. MAY THE BRIGHTNESS OF THE NAMES OF THIS FAMILY SHINE FOR EACH WHO HAS THE ZCHUT TO REALIZE.